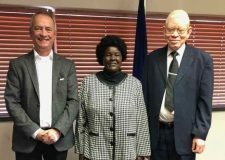 Our Managing Director Dr. Heinrich Heinrichs travelled to Namibia for the second time this year to accompany the setting-up of a vocational training center in collaboration with the Namibian Training Authority (NTA) and the Komeho Development Agency. The training center is located in the Omaheke region in the East of the country and is accompanied on site by the africrops! vocational trainer for organic farming (Landwirtschaftsmeister) Hartmut Blömker. 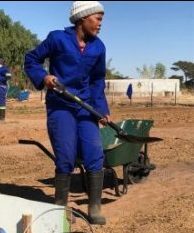 Goal of the training center is to give young Namibians the opportunity complete a solid vocational training in the agricultural sector and earn a secure income. The trainees have been selected by the local authorities and stem from various marginalized communities, such as the Khoisan, who often encounter only limited opportunities for professional development. 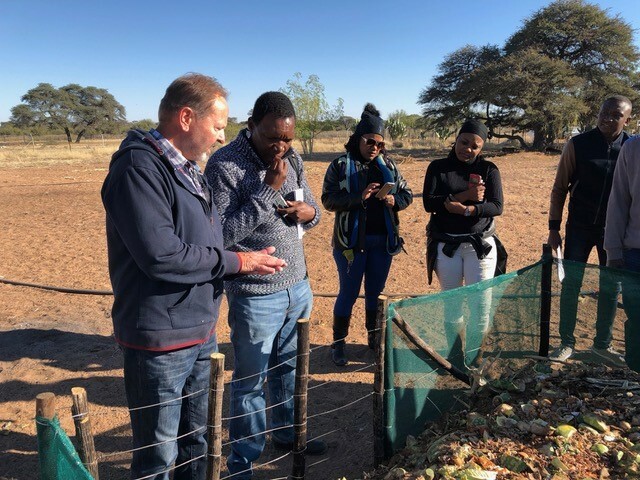 Already in June 2018 the training farm was inspected by the Namibia Training Authority (NTA) and will be officially registered and funded as a vocational training center. africrops! has been playing a central role in the development of the training farm. Dr. Heinrichs and our africrops! 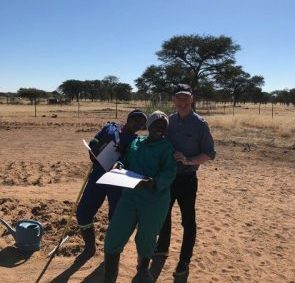 agricultural expert and vocational trainer Hartmut Blömker developed an organic farming curriculum based on Namibian government specifications, so that the graduates of the training center will receive an official Namibian vocational training certificate. The implementation leans on the German model for dual education and training, whereby practical training is done directly on a functioning production site to generate an income from the sales of the produce. Mr. Blömker accompanies the build-up and start-up phase. The theoretical part takes place in the well-equipped seminar rooms of the center. Initially the trainees learn how to cultivate vegetables and Moringa oleifera. africrops! plays a significant role in this. As a buyer of moringa, we open a path for these products into global markets. To successfully compete in global markets and offer organically certified products, the organic certification of the training farm is envisaged for this year. At the same time, the development of local markets is also supported: The farm is not only intended to cover its own needs for vegetables, but aims at creating a sustainable income through the sale of high-value organic vegetables on the local market. 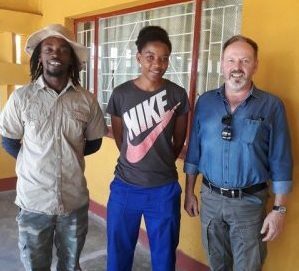 The Namibian government has welcomed the training farm with enthusiasm. The Ministry for Poverty Eradication and Social Welfare has been inspired by this unique approach and aims to replicate the model in other parts of the country. The opening of the training farm is a further example of what can be achieved through developmental collaboration with local partners on eye-level!